The locality of Hesperange was first mentioned in 867 / 868 by the name of Hasmaringa marca and was owned by the abbey of Echternach. The gallows in Howald as well as a pillory located near the castle until the late 18th Century were mentioned as early as 1277. The castle walls to the west of the keep extend to 18 metres. 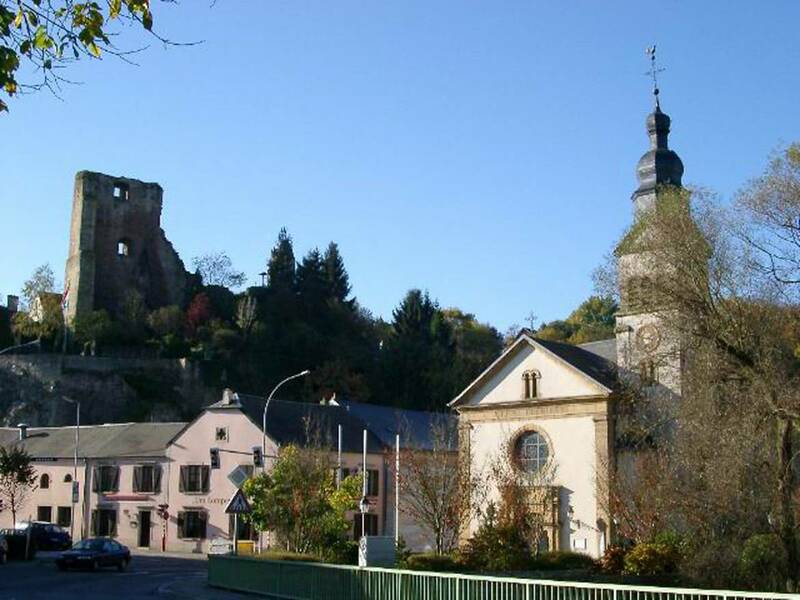 It's likely that the counts of Luxembourg gave the fief of Hesperange to the lords of Rodenmacher in the early 13th Century who erected a castle on this strategic site. When the Burgundians conquered the Duchy of Luxembourg in 1443, the lords of Rodenmacher sided with the French. After several battles between Gerard of Rodenmacher against Archduke Maximilian of Austria, husband of Mary of Burgundy, the latter dismantled the castle of Hesperange not just once but twice, first in August 1480 and again in May-June 1482, only to transfer it on 15th November 1492 to his cousin Margrave Christopher of Baden. The Lords of Baden -who led the high life- had to pawn the lordship of Hesperange on 29th December 1632 and could not reclaim it until 1740. On 25th July 1796, French revolutionary troops took possession of the castle and the seigniory of Hesperange. On 25th May 1798 the castle was nationalised by the French government and sold at auction. Subsequently, various parts of the ruins were sold and by 1820 seven houses stood in the grounds. In 1984, the Luxembourg State listed the ruins on its inventory of national protected monuments. They are still owned by private individuals.